HomeI had my eyebrows Microbladed by Jeanette Wirz Permanent Cosmetics! My experience in photos! 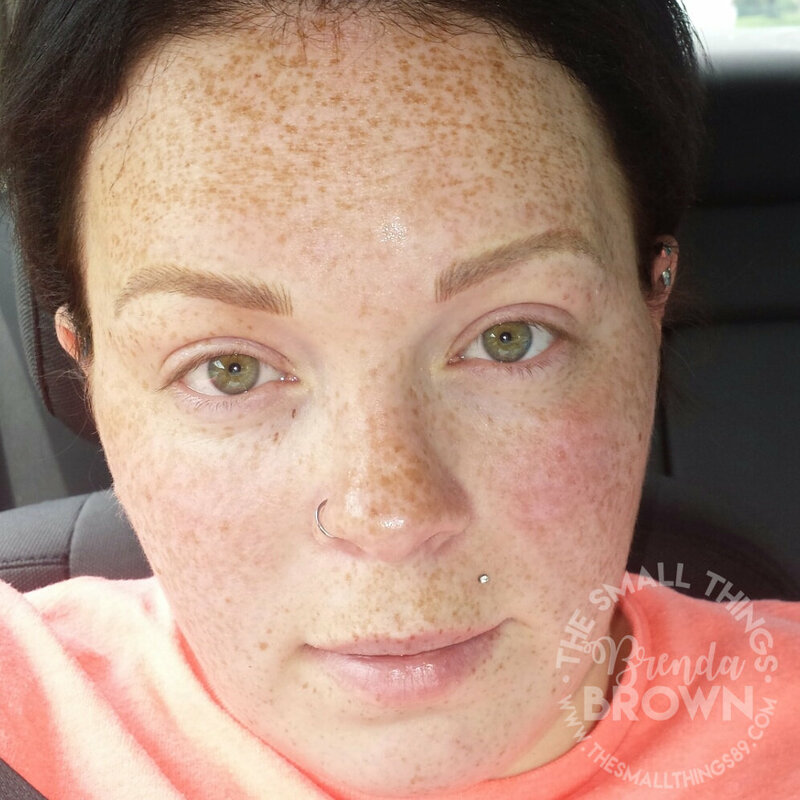 I have seen many things when it comes to permanent cosmetics, and when I saw Microblading for the first time, I was AMAZED. I was a perfect fit. Patchy eyebrows, over-plucked and just awful. I spent every day penciling in my brows because I was so self-conscious. 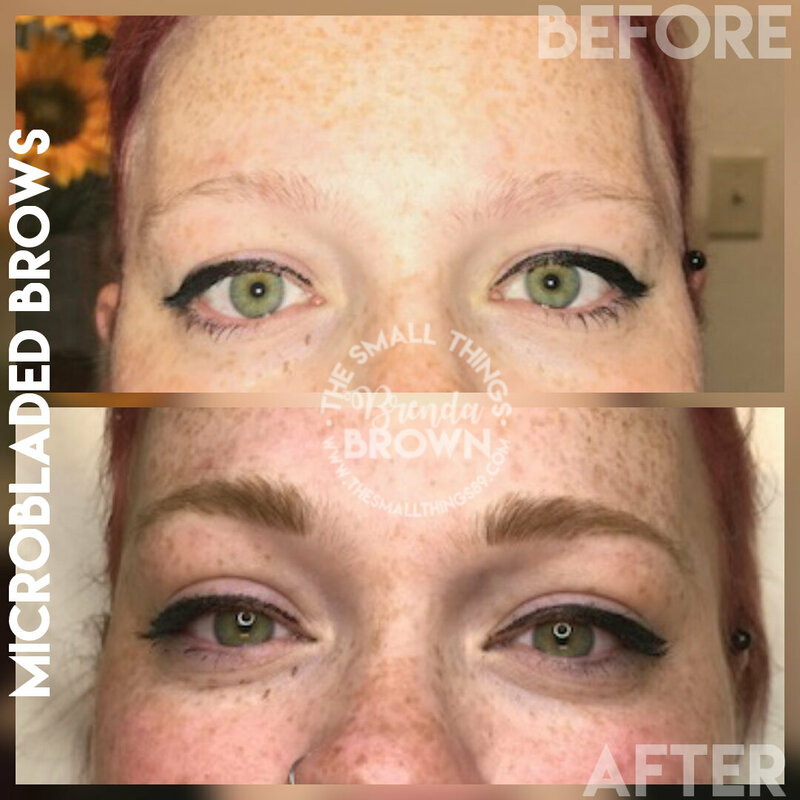 Now, you are probably wondering, WHAT IS MICROBLADING?! I will tell you! Microblading is a technique of making brow hair strokes by gently drawing a set of slightly curved needles through the epidermal and superficial dermal layer of the skin. Microblading is performed with a grouping or configuration of needles affixed to a handle to manually create lines that resemble eyebrow hairs. Bare with me, I will tell you more about it as we go along. 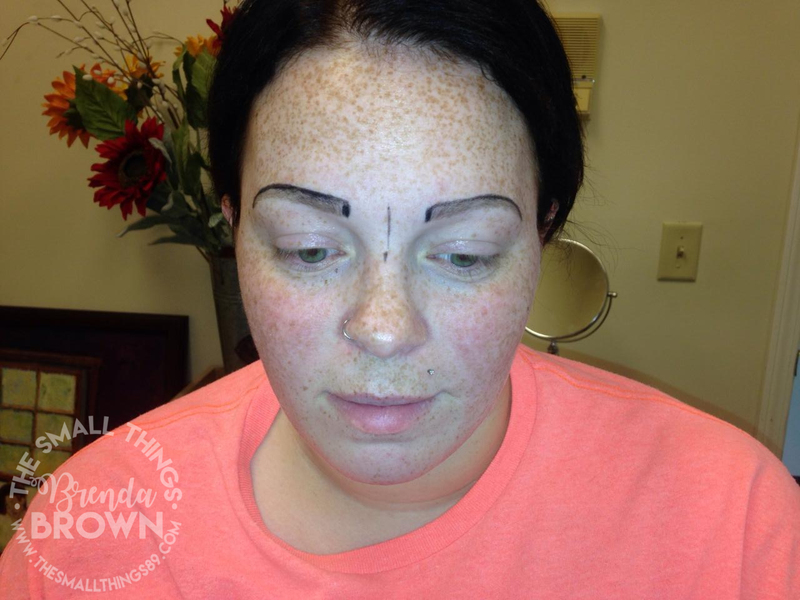 I was on Instagram and came across Jeanette Wirz Permanent Cosmetics. Jeanette's work is amazing. I was in awe. I just knew I had to get mine done by her! Jeanette is a state licensed Tattoo artist and Clinical Aesthetician. She has 28 years of cosmetic experience! She is located in the Nashville area, you can see the address at the end of this post. You can read more about her on her website. (linked above) She has an amazing background in what she does, and her work sure shows how much talent that she has! She also has another Medical Aesthetician with her, who has 19 years of experience! Her name is Jennifer Wilken. Jeanette Wirz Permanent Cosmetics also does several other services. These services include 3-d Areola Pigmentation, Shaded Permanent Brows, Full Lip Color, Shaded Lip Liner, Lip Liner, Permanent Eye Liner, Lash Enhancements, Muscol Liner, and lastly, Paramedical Cosmetics for Alopecia. I had my appointment booked and was ready to get started. Check out my brows before below! When I arrived, I knew my appointment would be about two hours long. My husband tagged along and he was my photographer! I arrived and her space is just adorable! My brows before. (Thanks Jeanette for the photo!) You can see mine are patchy, super light and not flattering. THIS, is why I wanted to get mine done. 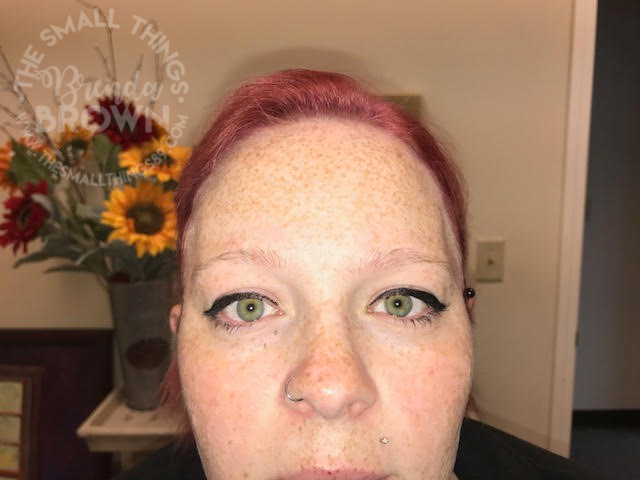 I headed to get my consultation in her other room and this consisted of taking photos, and we were able to work together to "Build the perfect brow" for me! Notice below the lack of brow? OY! She measured to get my brow shape perfectly done. Jeanette used an eye pencil so that we can get the shape that we wanted. This takes about 45 minutes or so. We took away parts, added parts and did it again. This was to reassure that I had the brow shape that I loved and wanted, and the brow shape that worked for my face. After getting the shape that I wanted, she perfected the other side and we discussed pigment colors. There were several pigments to choose from, and we found one that was perfect for my skin tone. It wasn't too dark and it wasn't too light. After getting the color we wanted, we headed to the room where she works her magic! I laid on a comfortable table. It was a sterile area and she made sure that I was comfortable in every step of the way. 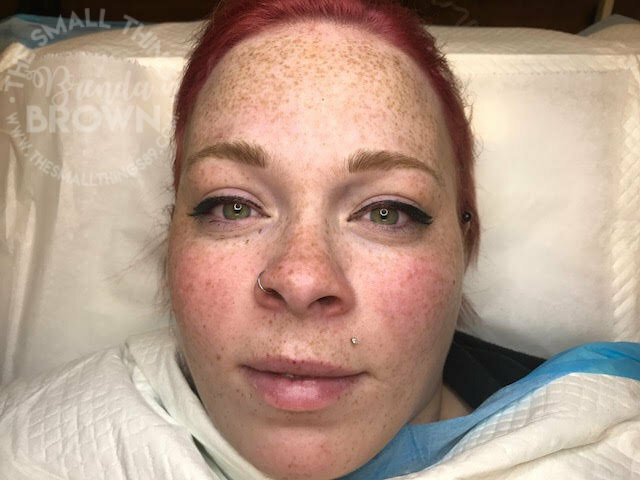 Now, at first, she explained that she was going to start making several strokes before she numbed me so that she could get the initial shape of the brow started. I am not going to lie. It hurt a bit. It felt like a cat was taking it's claws one by one to my eyebrows, but it was a quick process and she did three strokes, gave me a break and did three more and so on.. I have a high pain tolerance, and I have piercings and tattoos. It was tolerable. You can see the microblading below for the start of it. The pigment was applied and wiped off and then I was numbed! The creme was applied for about 10 minutes. She then started the microblading process and worked her magic! I didn't feel anything, and if certain spots started to wear off, she numbed that again and started on the other side. As you can see, the pigment is applied often through the process of microblading. I loved the time she spent perfecting my brows! It was such a wonderful experience. I don't know why I was nervous getting this done! I am pleased with the photos my husband took of the process! It is neat to see it from his perspective! After finishing my microblading, she gave me the option of having them shaded a bit, and I decided to do that as well. As you can see, the result is AMAZING and I am SO EXCITED that I have beautiful brows! Now, I was reading, some people say this is semi-permanent. Jeanette has a great spot on her website that explains otherwise. "It is impossible to predict how much pigment will fade away and how long it will take to do so with any measure of consistency or reliability." I am amazed at the results! You will need to go to your follow-up appointment to see if you need any touch ups and it is recommended to get a touch up every year. Use ice if needed, Apply coconut oil or After Inked 4 times a day and at bedtime. Keep them as dry as you can for 48 hour. Cleanse them gently with coconut oil and reapply your aftercare. You will use the aftercare for 7 to 10 days. Do not use makeup around the treated area, do not pick or rub at the epithelial crust, allow it to flake off on its own. Do not expose treated area to full pressure of the shower. Do not soak the treated are in a pool, hot tub, ocean or any body of water for 2 weeks. Always avoid Glycolic products, Retin A or other products that will exfoliate the skin this will cause your brow to fade quicker. You will want to keep sunscreen on your new eyebrows when in prolonged sun or cover fully in the tanning bed. Your first follow up appointment is included in the price. This is a art not a exact science if you need a 3rd visit there will always be a $100 charge for time and set up. There is no exceptions and it must be done within 2 months of the follow-up appointment. 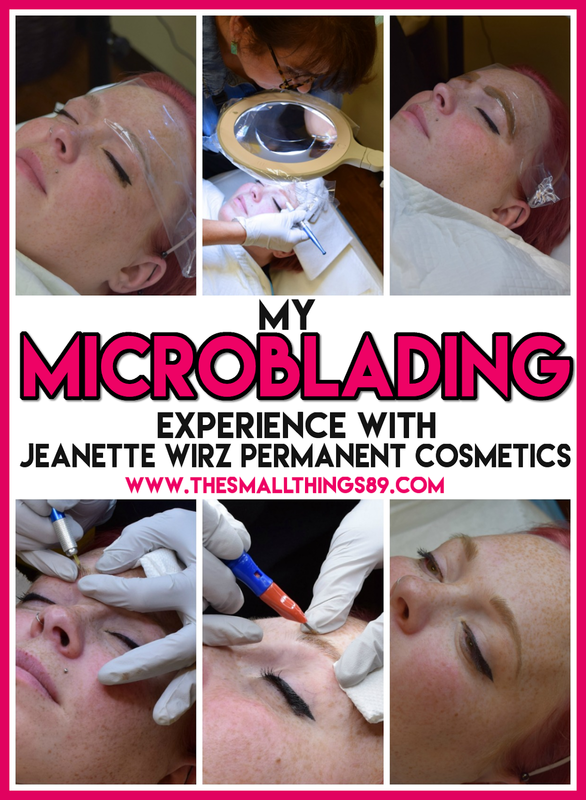 You can get microblading from Jeanette Wirz Permanent Cosmetics for only $500! This is worth every penny for the care that you receive and you get your confidence back! Microblading is for anyone. MEN- YES, you can do it too! It is also a great thing for anyone that has lost their hair to cancer, or even alopecia! Visit Jeanette Wirz Permanent Cosmetics on her social channels to stay up to date with the latest. You can also visit these, or her website to see amazing before and after photos! Contact her to get your appointment set up now! You won't regret it! I am so thrilled that I was able to get my brows done by Jeanette. The process was so smooth. She made me "feel at home" and I loved how everything was explained to me. Nothing came as a surprise! This process was amazing! I am excited to see how they heal, and I am excited that I gained so much confidence thanks to her! I will be updating this post WEEKLY so that you can see how they heal! Keep an eye out! I will also update after my follow up, and after they heal from that appointment too! If you have any questions about my experience, feel free to comment and I will answer! You will never get bad tattoo's with her! Here are my brows two weeks into healing. I feel AMAZING. The darkness faded and they are lighter and look more natural. Check out these healing progress photos to see what I mean. As you can see, they also shrunk down, which is NORMAL. Don't be alarmed when they do! They will also be EXTREMELY darker the days after you get them done. It MAY scare you at first, but it is part of the healing process! YES they itch. They will itch like no other. DO NOT SCRATCH IT. I REPEAT DO NOT. I am SO FLIPPING excited that I had this done. I feel great. I love my brows! I went to my follow up and decided to go a little thicker with the brows. They did shrink as you can see above, and I will also be adding a collage with the healing process with these follow-up brows. She did her "template" for reference with measurements and such. Here is what they looked like after! I then had them done. As you can see, they are fuller. This is my natural brow width, so I was happy with this! I loved the previous brows, however, I went back and forth in my head with wanting more fuller brows and I am happy that I did. Did it hurt this time? YES. Yes it hurt. BC when I went in last time, I did not know what kind of pain there would be. This time I knew and it caused me to tense up. I was numbed after a few strokes on each side and was fine after that though. Hey, I am just being honest here so you know what is going to happen. Like I mentioned above, I will share a collage at the end of two weeks to show how they look then! SO HAPPY! I will be back in a year for my touch up! She did an amazing job. Being you MIL, I've known you were not happy with your brows. I'm so glad you did this. I'll admit the word, blade, in what she did terrified me lol. However, once I saw the end result, I decided blading wasn't so bad for eyebrows. I know you're thrilled to have had her do it. They look wonderful! Thank you mom. I am so happy with these! You before and after shot says it all! Wow! And you only need to go once a year for touch ups?? That's aweosme! I would so love to get this done. Back when I started plucking my brows thin was in now it is not lol. You look great, she did a wonderful job. Im not that much into beauty suplies. Looks very nice. I have not heard of this procedure before. Your new eyebrows are gorgeous!I just love them. I need this done to my eyebrows! Thank you!!! SO WORTH IT. Thank you for the information! I have never heard of microblading before. They did an awesome job! Great to hear that you're happy with the results. omg your brows look amazing! Absolutely amazing! Your new brows like amazing totally natural! I have never heard of this. So the pigment gets updated once a year but the shaping stays? Wow, looks great. I need that done, I have virtually no brows. I love your new eyebrows! They are gorgeous and really turned out perfect! I'm very impressed. It looks so perfect, and you can see the quality in the process, wow! I know people who have had eyebrows done, and they never looked real. It makes you even prettier - it is worth $500 for sure! I have never heard of this. You look great! Oh my goodness this is so cool! I really appreciate the before and after photos because your before photos look just like my brows now...I've been considering this but now I'm definitely going to have to do some serious research! The before and after are amazing! I see why you are so happy, looks so good. I'm always looking for ways to fix my eyebrows besides waxing or plucking, so thanks for this! Wow, what a difference, they came out amazing!!! I never heard of this before. Your before and after pics are amazing! I love this method. Your brows are beautiful. Its a little out of my budget but if I could afford it. I would take a chance and get it done. It seems like they did a great job with this eyebrow treatment. Wow, I have heard of it but haven't really looked into it. 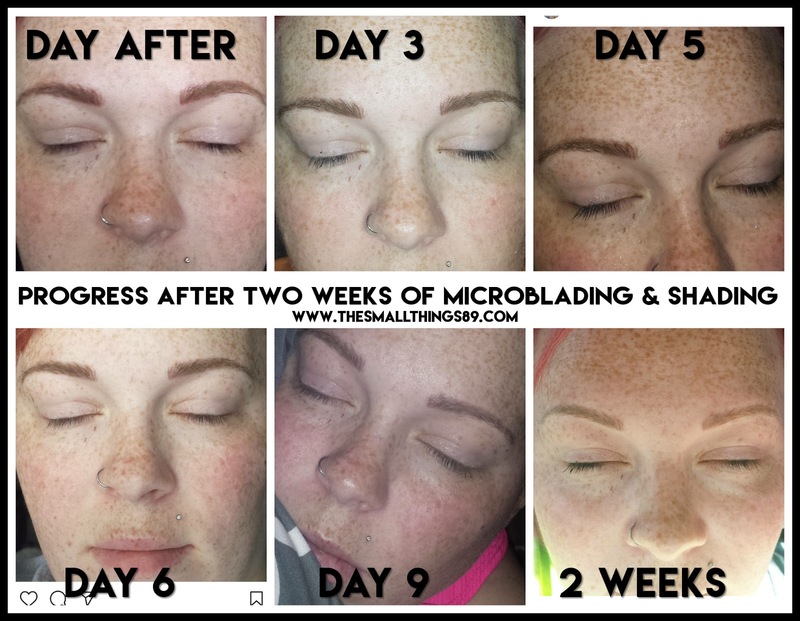 This is a great inside look to what really microblading means. I'm not sure whether I will do this but I will think about it for the future. It looks really low maintenance and your results look amazing! I love how yours came out! I have not heard of this, but would love to have it done. I love how yours turned out! Beautiful! I am eager to try this. I have always hated my eyebrows and wanted a more permanent solution. Plucking and waxing gets so old. IS it intended to be permanent? Yes, it is. You will need touched up yearly to keep the best results. I don't live near you but because of your experience I feel more comfortable doing it, and I am now getting this done on Sunday! So exciting and so happy for you! they came out great! i want to get mine done now. I had never heard of this procedure before. You look great!